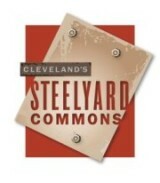 Steelyard Commons is easily accessible from all of Cleveland’s major highways. The shopping center is anchored by Target, The Home Depot, Walmart Supercenter, Marshalls, Burlington Coat Factory and ALDI. Steelyard Commons hosts several events throughout the year such as National Night Out Against Crime and an annual Trick-Or-Treat afternoon, in addition to combining retail shopping, restaurants, and a one-mile stretch of The Ohio & Erie Canal Towpath Trail — all in the heart of the city. Stay tuned for more to come at Steelyard Commons! Steelyard Commons is conveniently located near all of Cleveland’s major highways making the center easily accessible from all directions. For detailed directions please click on the map below. For Steelyard Commons leasing information please contact Goodman Real Estate Services Group. Steelyard Commons is owned and operated by First Interstate Properties, Ltd. Thank you for your interest in Steelyard Commons. For information please call (216) 381-9730, or submit your questions or comments below and, if necessary, a member of our staff will contact you. ©2018 First Interstate Properties – Steelyard Commons. All Rights Reserved.